Pneumatic vacuum elevator (PVE) has become a popular choice for our homes and low-rise buildings in recent years. The Pneumatic vacuum elevator represents a new concept evolved from the idea of pressed air applied in the pneumatic elevator replaced by a vacuum air idea. The pneumatic vacuum elevator is able to transport people between building floors without using any cables, counterweight, or pulleys. A simple and low cost construction and implementation for an Electro-pneumatic vacuum elevator system prototype is presented in this paper. The elevator system prototype is constructed with three floors to elevate a maximum load of 6kg. Programmable Logic Controller (PLC) of (LS\GLOFA-G7M-DR30U) series with (16) inputs and (12) outputs programmed with Ladder diagram software is used for the fully automated the elevator system. The idea of the proposed elevator system may be predicted to be widely spread in the low-rise residential buildings. 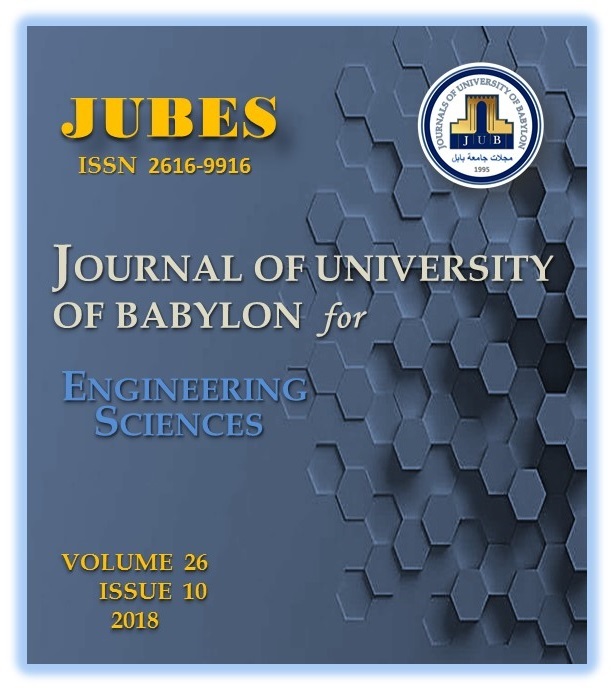 F. Mohammed, J. Mohammed, and M. Naji, “Implementation of an Automated Vacuum Elevator System”, JUBES, vol. 26, no. 10, pp. 150 - 165, Nov. 2018.